We got to know about this book during a discussion among a group of friends with primary school going children. A couple of them who read it to their kids said this book is interesting and their kids love it, thus I made a search at our public library and reserved it. 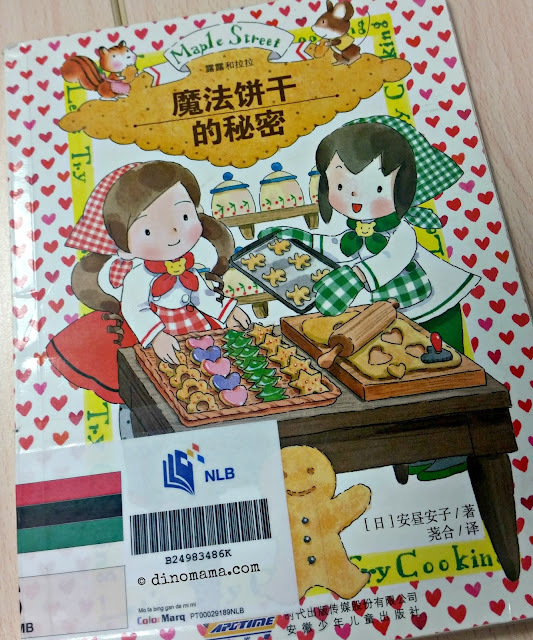 At first glance, this book seems to be written for little girls because the main characters are 2 sweet looking girls who have cute furry animals from the forest patronizing their Pastry Shop. So cute right!!!! I don't believe in stereotyping books, as in Girl books or Boy books, books ARE books and meant for every one to read. So this series of books or rather this author's books are good for every kids to read. 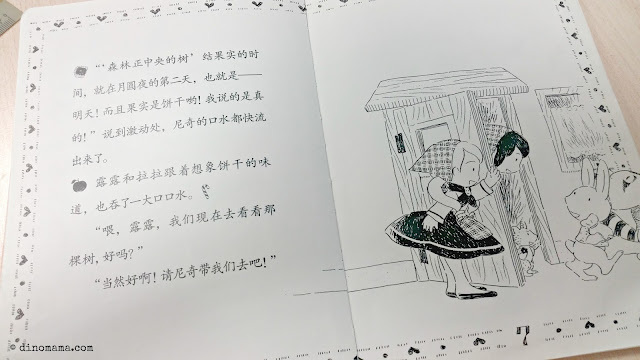 This story started off with 露露 Lu Lu and拉拉 La La getting ready to open their Pastry Shop for the day, with the arrival of their first customers they heard about the rumors in the forest of a tree in the centre of the forest that grows biscuits on the second day of full moon. This makes both of them very excited and heads of to check out the tree. As the story goes on, it turned out that the cookie bearing tree is the act of one small forest animal, 蜜朵 Mi Duo, the squirrel who lives in that tree. She has no friends and felt lonely, she started the rumor so that all the other forest animals will gather at her house. As the rumor travels 蜜朵 Mi Duo is troubled because she is unable to bake as many cookies to hang onto the tree for all the forest animals. When 露露 Lu Lu and 拉拉 La La heard that, they agreed to help her. Half way through the baking 蜜朵 Mi Duo came running back to the Pastry shop telling them that the rumors has gotten out of hand with the forest animals exaggerating the facts and now they are expecting cookies to be uniquely decorated and put into beautiful packages with each of the forest animal's name on it. What will the girls do now!? 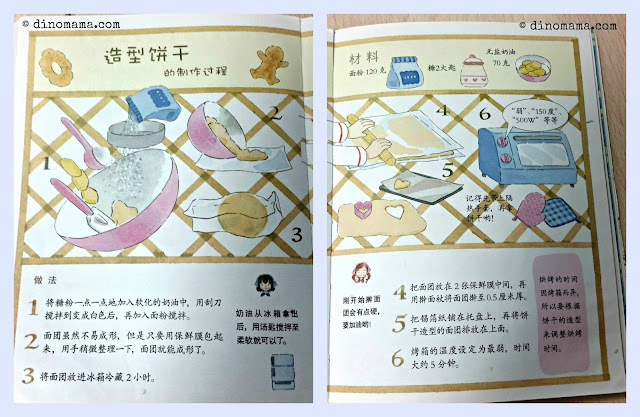 Well, besides the beautiful simple but colorful illustration that I adores and even though there are no HYPY, the words used are simple since its written for 3-6 years old, so not to worry that you will be stuck with words you can't recognize. I love it that it is a simple story that teaches moral to the kids too - telling lies or spreading rumors will not get you any where, only by telling the truth or be truthful to your friends and those around you that you will be rewarded in greater ways than you can imagine. There is a cookie recipe too and according to other people's review that recipe works and they made some delicious cookies. Of course DinoBoy bugged me to try out but I evaded his request every time by giving all sorts of excuses, me bad I know.